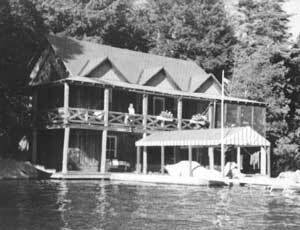 I was very lucky to have spent my summers as a child in the Adirondacks, and luckier still to have spent them living in a boat house with a guideboat downstairs. Someone once identified that boat as a Hanmer, however I was not able to verify it at the time. It was like no other rowboat I had tried, beautiful, light and fast. I spent many hours rowing it and always appreciated how much better it was than the tubs I had been exposed to up until then. I am not a marine architect, nor do I have impressive engineering credentials to list here. I have worked as a carpenter and home renovator, and now find myself working as a Web developer. 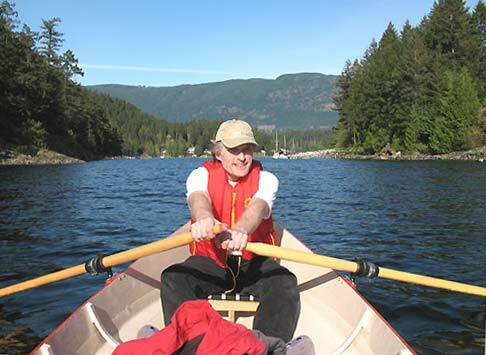 This site centers around a long time hobby of small boat design and construction. I built my first boat at age 13 and long wanted to build a guideboat, but never had the time or money.